Take the #Dove7DayTest and get a chance to win your own Dove Skin Essentials Kit! Dove challenged me to wash my face using the Dove Beauty Bar for 7 days! I'm actually pretty excited for this challenge, because I have been plagued with dry skin for the last couple of years. 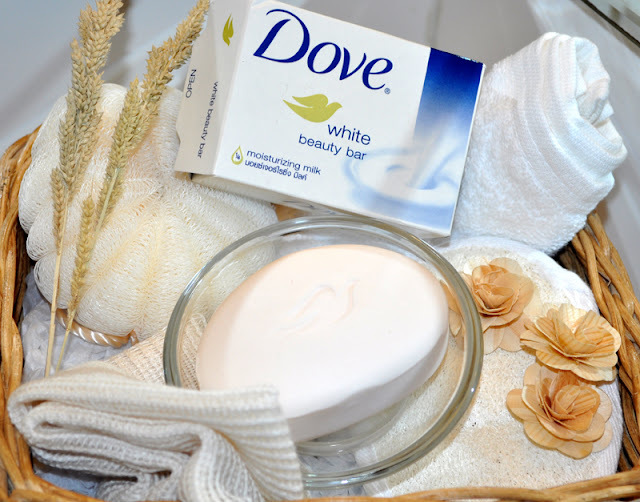 So I took the #Dove7DayTest challenge and wash my face exclusively with Dove Beauty Bar. Day 1: After just one wash, I can already feel my skin getting smoother & softer! Day 2-3: My skin became less dry after using the Dove Beauty Bar. It really did feel like it had 1/4 moisturizing cream as it lathered up so luxuriously. Day 4: I feel the moisture deep in my skin, I love it. Day 5: I used the Dove Beauty Bar with a face loofah to exfoliate my skin and remove dead skin cells. My skin didn't feel as tight with it and no itching or irritation. Day 6: My skin has never been so beautiful. Why didn't I try this sooner? Day 7: My skin has never been healthier, softer and now has a youthful glow. Overall, this is an amazing bar of soap that I am actually thinking of replacing my facial cleanser to Dove Beauty Bar. Take the #Dove7DayTest for yourself, to get smooth glowing skin in just 7 days! 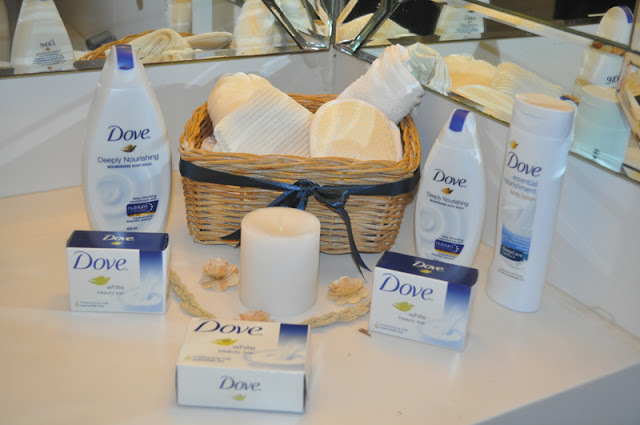 Three of my lucky readers will get a chance to win Dove Skin Essentials Kit! Visit www.rochellerivera.com to join and try it for yourself. 5. Comment below your Instagram user name and answer what do you think of Dove 7 Day Test? Hurry join now because this giveaway ends tomorrow, August 25, 2015 at 11:59PM. Winners will be picked via random raffle and will be announce on August 26 at 1:00 am. Winners may claim their prizes by going to the office in Makati City with a valid ID and copy of the email I will send you, as well as the prize claim details. Please note that prizes are PICK UP ONLY in Makati during office hours and cannot be shipped. Hi Ms. Rochelle, joined your giveaway, my IG name is @itspeavybitch. Reading your review I think the Dove 7 Day Test can really give us that youthful, smooth and glowing skin in just 7days. Hoping to win! God Bless and More Power! I think the Dove 7 Day test campaign is very helpful to us ladies because nowadays we just rely on filters.Flawless and soft skin on photo but different in reality.This Dove 7 Day test is amazing,I think i need to post before and after pictures without filters. This challenge is exciting and I love Dove products! I think Dove 7 Day Test is the perfect proved to tell others how dove really works to have that smooth,flawless skin,hoping i could try it! I wanna do the dove 7 day test because I believe in this product.. I always wanna have a soft and smooth skin so pls let me do the dove challenge. Dove 7 Day Test will let your beauty glow. It makes your skin radiant, smooth and soft like a skin of a baby. Definitely will love the result! I think Dove 7 Day Test will help me achieve a beautiful, healthy glowing skin. Dove 7 day test will help me to achieve fair, smooth and radiant glowing skin in just 7 days! It will easily moisturize my skin and cleanse all the dirt in my skin to have that soft and clean skin! I think #Dove7DayTest is the perfect product for me. Been looking for a prodect that soothes my akin for a long time and I think this is it. Dove 7 Day Test is a very good campaign especially to us ladies who want to have smooth glowing Skin. I've read good reviews about this and I can't wait to try and see the results with my skin. Every woman deserves to be treated with the Best, lets all try the Dove 7 Day test! I think the #DOVE7DAYTEST challenge I feel like I put moisturizer in my skin even not. I want my skin so soft and healthy glowing. This 7 day challenge got me curious if a product really can change your skin and transform it into a soft and youthful glow. Dove has always been a trusted brand but i haven't really tested it and I really want to. Dove 7 day test will help me to achieve smooth, fair and radiant glowing skin in just 7 days! It will help my skin feel moisturize everday and leave no dry skin :) Dove is already a trusted product and it is worth the price. I think the Dove 7 day test will be a helpful way to see how effective the dove beauty bar is in giving soft smooth and moisturized silky skin. I think the Dove 7 Day Test is good way to bring out the confidence in every Filipina who wants to take care of their skin. I would love to be a part of the challenge to have that smooth and healthy skin. IG username: @cjm_martinez I think it would be very exciting and I'm sure that Dove will give us the best result in making our skin soft,moisturized and glowing. I think the Dove 7-day test is an awesome dare from Dove to women who wants to have smooth skin in just 7 days. Dove is confident of their product that they can do it for us. Dove 7 Day Test? Let's see.I will update you on September 1. I would love to try the Dove 7 Day Test and see for myself how it can help my dry skin. I think the Dove 7 Day test is a wonderful opportunity for us to have our smooth-glowing skin back! With so many products in the market and the curiosity to try as many products that caught my fancy, my skin has suffered dryness, rashes and blemishes. It would be nice to have smooth glowing skin courtesy of Dove. With just one soap, I can have a cleanser and moisturizer at the same time. I think the dove 7 days test will work for me 😊., im having a hard time choosing whats best soap will make me smooth and look younger because i always want to please my husband which is 8 yrs younger to me.,i know dove will help me look much better. Dove 7 day test is awesome and magical! It gives a person a chance to remodel and rebuild both their physical and psychological way of how they see their self. It's a way of boosting a person's self esteem and confidence to show off their true beauty without depending too much on cosmetics. 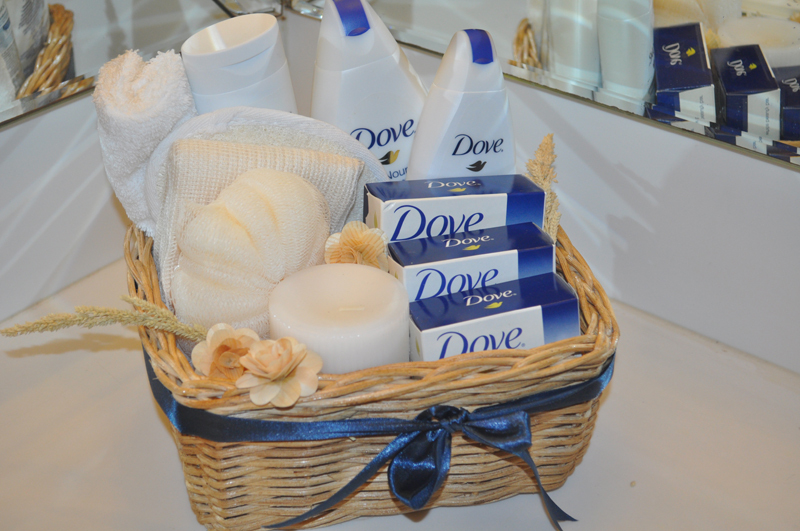 Dove is a genuine charm for us women. Thats why this test is awesome, we get to experience its magic in just 7 days. @joennykhyle My #Dove7DayTest Experience is amazing!!!! Because it brought back the radiant in my dried skin that caused by sun heat, pressure and aging. In just 7 days my skin are softer and fresher. I am a working mom and my work schedule is on night shift for 5 months now. Working on nightshift gives my face a dry skin, rashes, and blemishes. Good thing that I used dove bar, I really noticed the big difference it did to my skin. It moisturizes my skin and it is now getting back to life, my rashes and blemishes is now minimal and fading and for sure with continuous use, my skin will become more beautiful, nourished, smooth, and supple. Thank you dove for understanding the need of a woman like me. 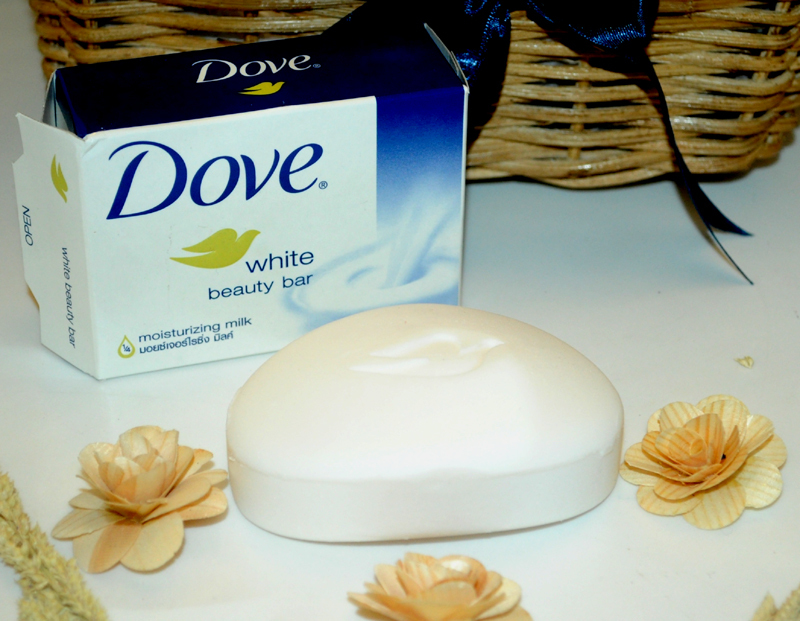 I do confess that I am a dove girl, and I really love it! I think of Dove 7 Day Test is a great promtion and marketing plan of Dove to encourage more Filipina to flaunt their natural beautiful skin with this product having the moistuzer needed for maintaining healthy skin. While those who are current user will be encourage to continue their beauty regime. And I myself is also an avid user of Dove. iba talaga pag me giveaway, dami ng comments, congrats sa lahat ng winners!